Day to Day Life in the Hamby House: A Nice PANDORA Surprise! I came home yesterday from school and checked our mailbox. I received a nice surprise from Josh's sister and her family and his mom. They sent me a Pandora silver bracelet and two charms. 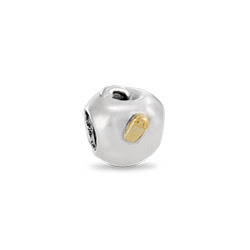 I have been reading and hearing all about Pandora jewelry, but I had never seen any of it before. Now, I have one of my own! I love silver jewelry, so they did great! 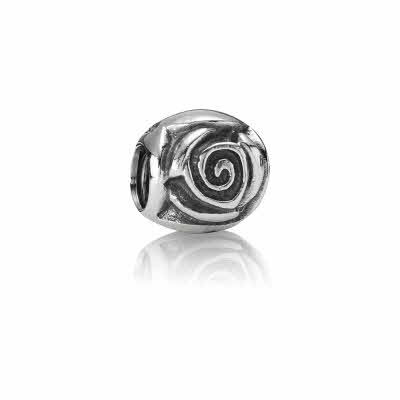 This charm symbolizes "journey." Courtney said that since I am beginning a new journey with teaching that this one fit perfectly. This one is my favorite. It's an apple! You know how teachers are about their apples! This is a rosette. I am really into rosettes this season. I have a couple items with rosettes on them and I LOVE it! 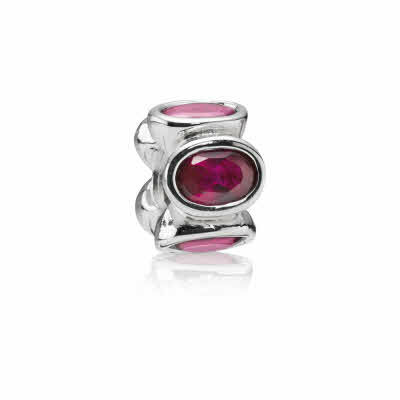 This one is my birthstone: RUBY! 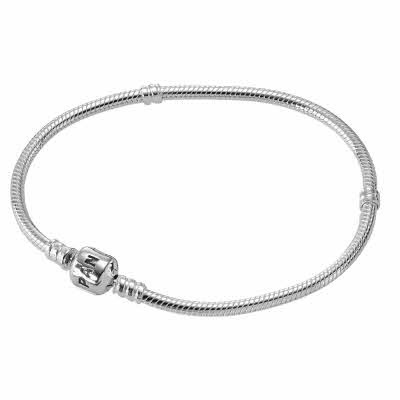 This charm would add so much color to the bracelet. enjoy your bracelet! its the best! everyone's is unique and tells their own story. how thoughtful of your sister in law. 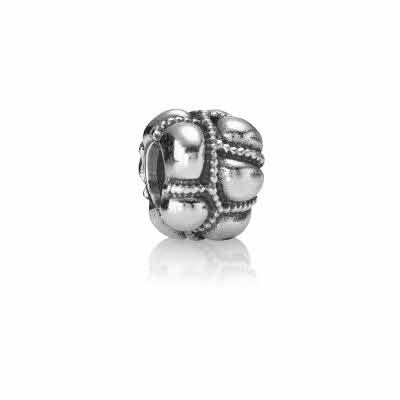 the journey bead is one of my absolute faves!